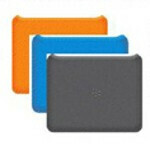 You have already decided on buying the BlackBerry PlayBook for your tablet. Now, you need to figure out which extras you are going to want. 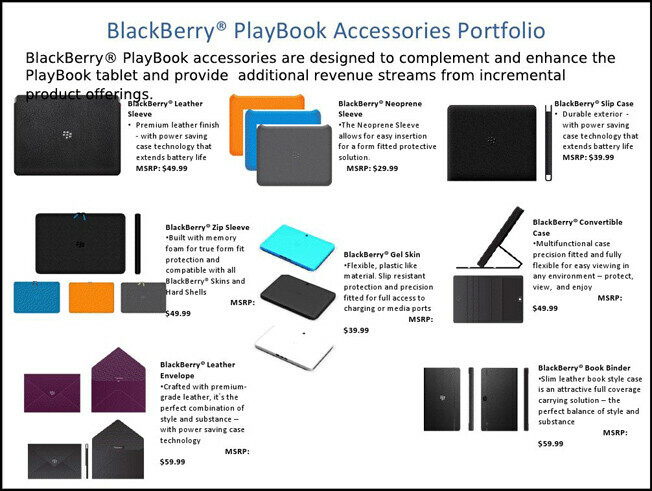 Thanks to some leaked slides, we can take a look at some of the accessories that will be available for the tablet. 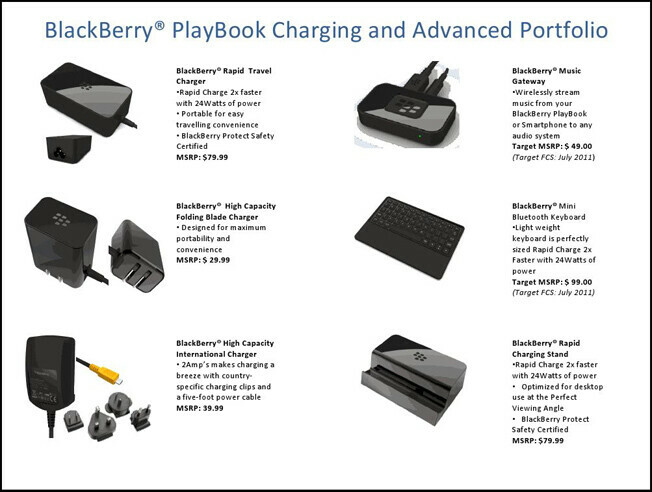 You might want to consider a leather sleeve for your PlayBook that has "power saving case technology that extends battery life." That item has a MSRP of $49.99. On the other hand, if you want protection but at a lower cost, $29.99 will buy you a Neoprene Sleeve. Other protective and colorful cases are available including some Gel Skin cases. The BlackBerry Convertible Case not only protects your PlayBook, but also doubles as a stand to prop up your tablet for better viewing angles. The suggested retail price is $59.99. Other accessories are designed to recharge the battery including a Rapid Charging Stand for $79.99 that will bring your battery back to health twice as fast as a regular wall charger. Music fans will love the BlackBerry Music Gateway that will stream audio from your BlackBerry PlayBook or smartphone to any audio system. That accessory is expected to be priced at $49.00. Many of these extras won't be available right away, so keep that in mind when you are going over the accessory list in your mind. And of course, all of these prices are the "Manufacturer's Suggested Retail Price" which means you could end up paying more or less than the prices indicated on the slide.